It's no secret that I have a love affair with hotels then mix it up with my passion for London then you've got my attention when it comes to the many press releases I receive daily. Will and I have been watching Netflix's The Crown. Honestly, I'm not sure if this drama depicts more fiction than history, but regardless, I'm interested in learning more about Winston Churchill. 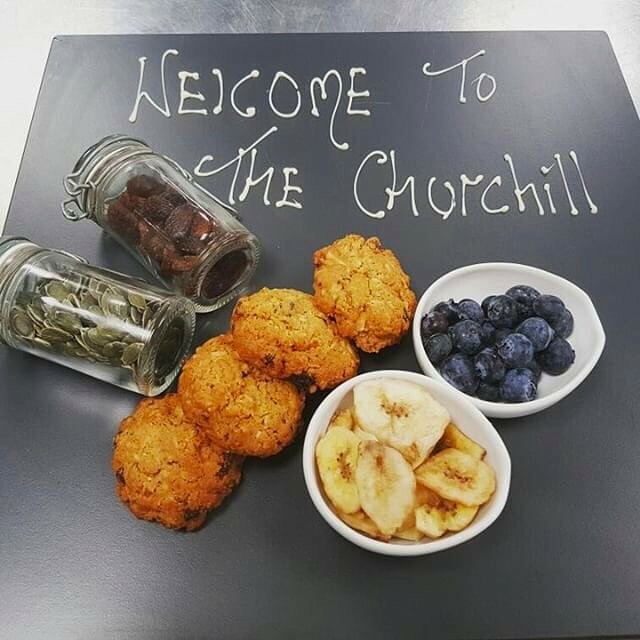 The Hyatt Regency London-The Churchill near West End would be the perfect spot in London to learn more. 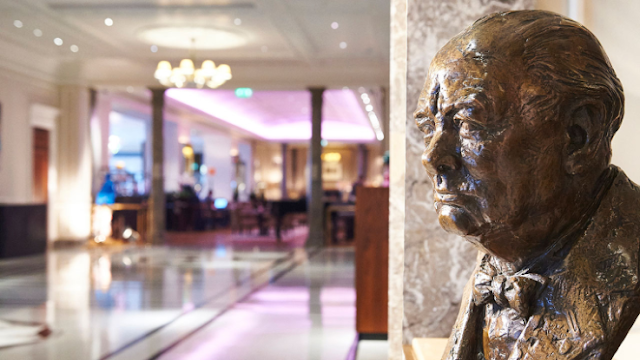 The luxury hotel recently completed a multi-million dollar renovation and Sir Winston Churchill is at the center of it all. Sir Winston Churchill’s family worked closely with the hotel in the design process, sharing original artworks, photographs and love letters between Churchill’s wife, Clementine, and himself. 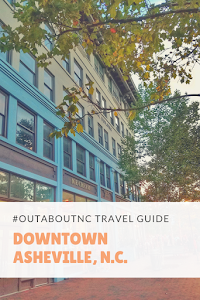 Lawrence Holofcener’s sculpture of Young Winston sits on the bar’s alfresco terrace, with staff placing a fresh rose in the sculpture’s lapel every morning, just as Clementine did. Fine fabrics and iconic designs – namely bespoke herringbone, button detailing and signature furniture pieces – reflect the iconic leader’s love of quality. 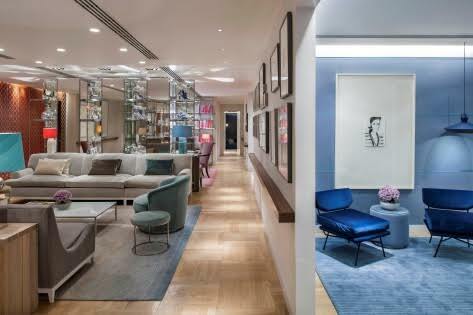 The renovation now includes a new luxury suite package in collaboration with world-renowned department store Selfridges. 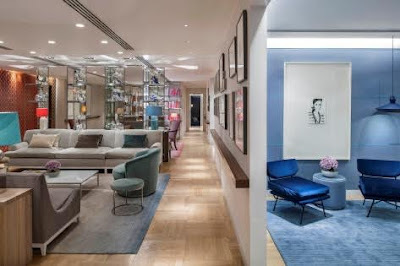 The stylish Life is Suite Package with Selfridges offers guests a VIP welcome, luxurious suite accommodation, five-star service, and a behind-the-scenes experience at London's legendary Selfridges on Oxford Street. 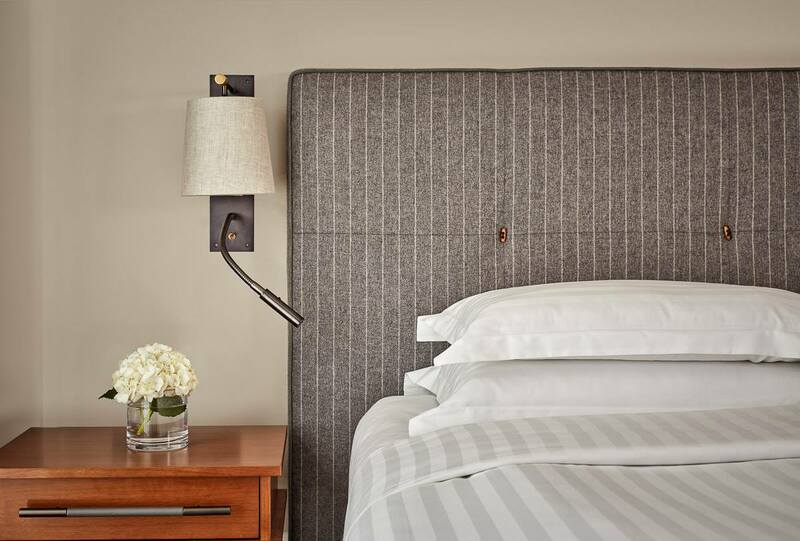 Hyatt Regency London – The Churchill boasts a great location tucked away in the heart of London’s West End – just steps away from Hyde Park and London's most famous shopping districts of Oxford Street and Bond Street. The hotel benefits from superb transportation links to Kings Cross St. Pancras and Heathrow Airport, making it the ideal hotel for both business and leisure travelers. At a quick check on my affiliate Hotels.com link, I found rates for under $400 and if cheaper if paid in advance. Hyatt is also offering many discounts, too.